Try Hillary Clinton’s latest book What Happened (2017). Her early memoirs, Living History (2003) and Hard Choices (2014) are other good options. Perhaps this same person is missing the Obama White House something fierce. 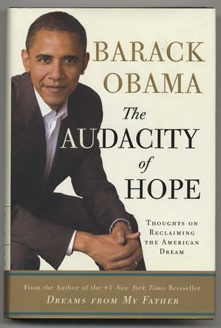 If so, any book by or about the former President may be much appreciated. We like The Audacity of Hope and Dreams From My Father. New this year is a book by former deputy chief of staff to President Obama, Alyssa Mastromonaco. Titled Who Thought This Was a Good Idea?, Mastromonaco’s memoir includes plenty of insider stories and details from behind the scenes during her time serving at the White House. Give them another angle. Pick a well-loved author and buy them a book or two. We like Zane Grey and Stephen King (and most everybody else does, too). Try titles like The Desert of Wheat and Riders of the Purple Sage by Grey or Four Past Midnight and Needful Things by King. We’d also point your attention to memoirs from literary giants. Living to Tell the Tale by Gabriel García Márquez is the first volume of Gabo's planned trilogy about his life. 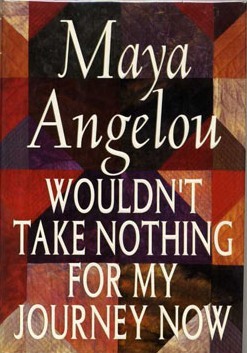 Maya Angelou’s words in Wouldn’t Take Nothing For My Journey Now are deeply moving. Most everyone can agree upon the brilliance of names like Marquez and Angelou! Sports memoirs are always captivating for the athletes—or armchair quarterbacks—in your life. Comeback by Olympic skiing gold medalist Jean-Claude Killy is the athlete’s personal account of his maturation as a champion. 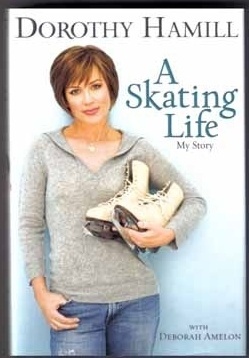 For the figure skating aficionado, Dorothy Hamill’s A Skating Life would make a great gift. Michael Phelps—the most decorated Olympian of all time—is almost synonymous with the Summer Olympics. His mom, Debbie Phelps shares her own inspirational story in A Mother For All Seasons. Try How I Played the Game by Byron Nelson or My 55 Ways to Lower Your Golf Score by Jack Nicklaus for any and all golf fans in your life. Other good sports options include Don Shula’s The Winning Edge or anything about Vince Lombardi, legendary Green Bay Packers coach and winner of the first two Super Bowls. Give them a chance to make a case for these books, many of which will appear on the silver screen next year. Any fan of biting wit and satire may appreciate Kevin Kwan’s Crazy Rich Asians. The first book in a three-part series, Crazy Rich Asians is in production and the film is set to be released in 2018. We were thrilled to learn that Beatrix Potter’s Peter Rabbit is being turned in to a movie, and we hope it does the penultimate book justice. 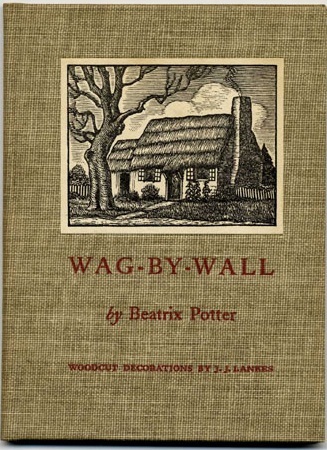 A classic edition of any of Beatrix Potter’s works—we love Wag by Wall this time of year—is a perfect gift. H.G. Wells’ The Invisible Man starring Johnny Depp is coming to a screen near you next year. For fans of H.G. Wells, an autobiography on the author may be just the thing. A good whodunit won’t ever go out of style in a book or on the screen. Agatha Christie proves that. Her short story, Witness for the Prosecution is set to be released in 2018 with Ben Affleck in the leading role. We love the idea of gifting any of Christie’s novels or short stories to book-lovers and movie-goers in your life. The Harlequin Tea Set is a superb collection of Christie’s short stories. And if you’re looking to branch out from her well-known books like The Murder of Roger Ackroyd and And Then There Were None, might we recommend Sleeping Murder and Appointment with Death? If you have a kid at heart on your list, there’s no better way to indulge him or her in a bit of whimsy than with a classic children’s book. We’re biased towards the Harry Potter series, and with Christmas portrayed so vividly in the books, you can’t go wrong by gifting any (or all) of these J.K. Rowling titles this time of year. Likewise, Eloise by Kay Thompson, is, in fact, A book for precocious grown-ups. 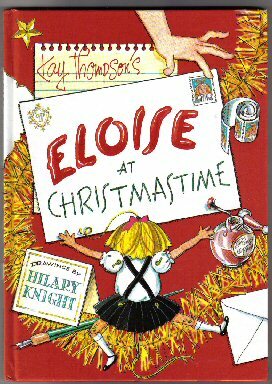 Any of the titles in Kay Thompson’s canon—Eloise, Eloise in Paris, Eloise at Christmastime, and Eloise in Moscow—make for great gifts. 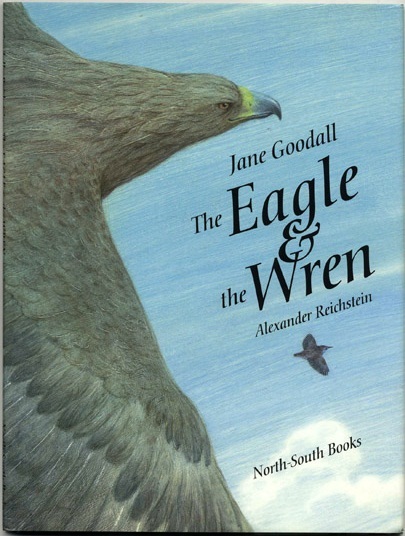 Perhaps you have someone on your list who is looking to start a collection of children’s literature. There are many holiday books that deserve a place in such collection. An interesting edition of The Night Before Christmas by Clement Clarke Moore would get them off on the right collecting foot, as would Cornelia Funke’s When Santa Fell to Earth. So you’ve got an art fan on your list? We’d recommend a book with beautiful pictures! The Charles Van Sandwyk illustrations in this edition of The Golden Key by George MacDonald are spectacular. Or you could choose another Charles Van Sandwyk title like Will O’ the Wisps or The Fairies Christmas. 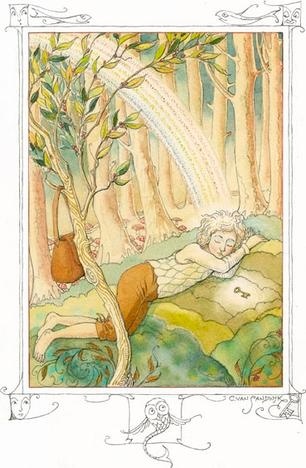 Kate Greenaway’s illustrations in Mother Goose, or Nursery Rhymes are lovely. As are Chris Van Allsburg’s in The Stranger and The Polar Express. You could also go the fine-press route for the art lover in your life. The book as an artistic object certainly makes a unique and special gift. We like all the collaborations between Heavenly Monkey and Harold Budd, but we’re especially partial to Aurora Teardrops, released in 2016, and Angel (2012). Another great fine press option is Interior Skies which was the inaugural work from Two Ponds Press and includes poetry and a remarkable depiction of the Ligurian seascape in relief engraving. When in doubt, go for a classic by a legendary author, thinker, or activist. It's sure to impress!